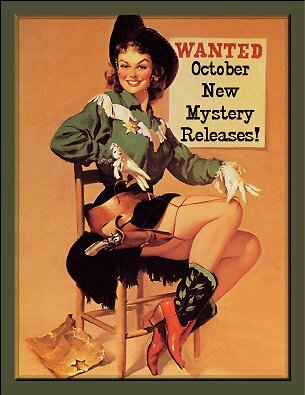 October 2012 New Mystery Releases! It's still triple digit heat here in Phoenix, but the thought has already crossed my mind about bringing out the Christmas decorations. Yikes! Instead, I think I will force my mind to think about the new mysteries coming out in October. Let's face it-- it's not a difficult thing for me to do, but it's always hard to pare down the list. If I get it down to twelve or thirteen, I consider myself lucky. Let's take a look at my picks for the month of October! Synopsis: "Arthur Meadows has just returned home from a trip to southwest Europe, supposedly bringing back a consignment of cloth, but actually bringing back something far more deadly. Meanwhile, a young Asian couple are murdered in their small house in Gloucester, the killings done with ruthless efficiency. Beverley Wharton, now Chief Inspector, does not relish the investigation of the murders: partly due to the choice of pathologist, Charles Sydenham. She would have preferred John Eisenmenger, but he has his own problems trying to work out why Arthur Meadows died so unexpectedly . 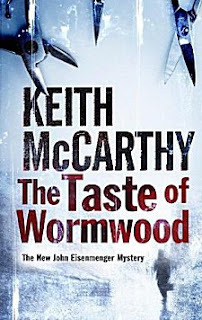 . ."
Synopsis: "The Bookworld’s leading enforcement officer, Thursday Next, has been forced into a semiretirement following an assassination attempt, returning home to Swindon and her family to recuperate. With Goliath attempting to replace Thursday at every opportunity with synthetic Thursdays, and a call from the Bookworld to hunt down Pagerunners who have jumped into the Realworld, Thursday’s convalescence is going to be anything but restful as the week ahead promises to be one of the Next family’s oddest." Synopsis: "In the vast wilderness of the Appalachian Trail, three hikers are searching for answers. Taz Chavis, just released from prison, sees the thru-hike as his path to salvation and a way to distance himself from a toxic relationship. Simone Decker, a young scientist with a dark secret, is desperate to quell her demons. Richard Nelson, a Blackfoot Indian, seeks a final adventure before taking over the family business back home. As they battle hunger, thirst, and loneliness, and traverse the rugged terrain, their paths begin to intersect, and it soon becomes clear that surviving the elements may be the least of their concerns. Hikers are dying along the trail, their broken bodies splayed on the rocks below. Are these falls accidental, the result of carelessness, or is something more sinister at work?" 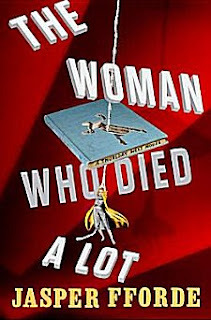 Synopsis: "As her wedding to detective Cas Wolfe approaches, Candyce "Dyce" Dare, sole owner (and employee) of the furniture refinishing business Daring Finds desperately needs to find something to do to avoid sitting down and planning the event with her mother and her best friend (particularly since she suspects their plans involve having her cat dress in a tuxedo). Working on a table she recently bought at a yard sale fits the bill. Until her sanding efforts uncover a disturbing stain—one that looks like it might be blood. 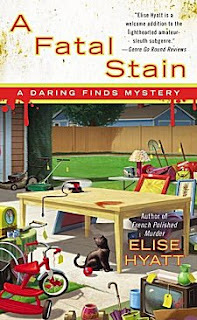 Dyce knows that, with a fiancé who’s a policeman, parents who own a mystery bookstore, and a recent history of inadvertent involvement in murder cases, she can be prone to seeing things that aren’t there. 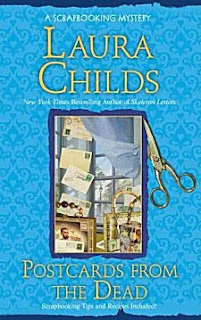 But then she discovers that the table’s previous owner has gone missing—and once more, she is drawn into a solve-it-yourself mystery project. And when Dyce starts a project, she just has to see it through…"
Synopsis: "In the ruins of an abandoned Soviet military hospital in northern Hungary, two impoverished Roma boys are scavenging for old supplies or weapons they could sell on the black market when they find more than they ever anticipated. The resulting chain of events threatens to blow the lives of a frightening number of people into bits and pieces. 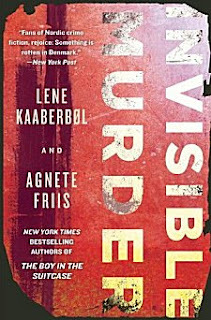 In this feverishly anticipated follow-up to 2011’s critically acclaimed The Boy in the Suitcase, Danish Red Cross nurse Nina Borg doesn’t realize she is putting life and family on the line when she tries to treat a group of sick Hungarian gypsies who are living illegally in a Copenhagen garage. Nina has unwittingly thrown herself into a deadly nest of the unscrupulous and the desperate, and what is at stake is much more terrifying than anyone had realized." Synopsis: "Sam Westin is working on a twelve-week project for the National Park Service as a biologist and a volunteer firewatcher when, one night, she hears an explosion. Above a nearby lake, fire lights the sky. She calls it in and is the first on the scene to do battle. When the blaze is finally extinguished, a body is discovered in the embers. It’s a young woman who was working on the park’s trail crew for the summer—and she’s still clinging to life. Sensing something sinister, Sam starts asking questions. Who started the fire? Was the young woman involved? Does this have something to do with an old gold mine? 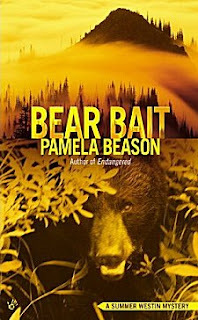 Is the recent sighting of an illegal bear hunter just coincidence? Sam wants the answers—but someone else wants her out of the way before she finds them..."
Synopsis: "There’s a parade rolling through the historic French Quarter, with gigantic floats, silver beads, and dizzying lights—and Kimber Breeze of KBEZ-TV is broadcasting live from a small balcony on the fourth floor of the Hotel Tremain, interviewing locals and capturing the spectacle down below. Her next subject will be Carmela Bertrand, owner of Memory Mine scrapbooking shop. Carmela has never been a fan of Kimber, but she isn’t about to turn down the chance of good publicity for her shop. But before Carmela’s shop gets its five minutes of fame, a killer slips onto the balcony and strangles Kimber with a cord, leaving her body dangling above the parade. Carmela is horrified, but she quickly discovers the nightmare isn’t over. Because someone is now leaving strange postcards at Carmela’s shop—signed by the dead Kimber. Now Carmela and her friend Ava will have to risk their own necks to find out who’s posing as a ghost—and to expose a killer…"
Synopsis: "Young Jimmy Higgins is snatched from an airport security checkpoint while his guardian watches helplessly from the glass inspection box. But this is no ordinary abduction, as Jimmy is no ordinary child. His mother was Scarlett, a reality TV star who, dying of cancer and alienated from her unreliable family, entrusted the boy to the person she believed best able to give him a happy, stable life: her ghost writer, Stephanie Harker. Assisting the FBI in their attempt to recover the missing boy, Stephanie reaches into the past to uncover the motive for the abduction. Has Jimmy been taken by his own relatives? Is Stephanie’s obsessive ex-lover trying to teach her a lesson? Has one of Scarlett’s stalkers come back to haunt them all?" Synopsis: "Reagan’s messy divorce has left her with nothing but a run-down Victorian and a bunch of designer clothes. 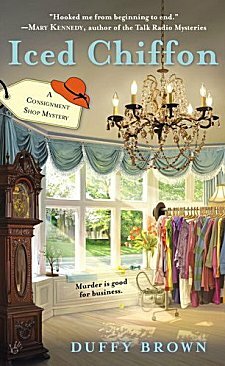 Strapped for cash, Reagan makes use of the two things she has left, turning the first floor of her home into a consignment shop and filling it with the remnants of her rich-wife wardrobe. Thanks to his cunning lawyer Walker Boone, her ex got everything else, including the Lexus—not to mention a young blond cupcake. When Reagan finds the cupcake dead in the Lexus, she’s determined to beat Boone to finding the murderer. As it turns out, the gossip fiends flooding Reagan’s shop will give her a lot more than just their unwanted clothes—they have information more precious than a vintage Louis Vuitton…"
Synopsis: "As World War II sweeps the continent and England steels itself against German attack, Maggie Hope, former secretary to Prime Minister Winston Churchill, completes her training to become a spy for MI-5. Spirited, strong-willed, and possessing one of the sharpest minds in government for mathematics and code-breaking, she fully expects to be sent abroad to gather intelligence for the British front. 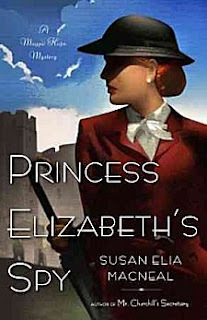 Instead, to her great disappointment, she is dispatched to go undercover at Windsor Castle, where she will tutor the young Princess Elizabeth in math. Yet castle life quickly proves more dangerous—and deadly—than Maggie ever expected. The upstairs-downstairs world at Windsor is thrown into disarray by a shocking murder, which draws Maggie into a vast conspiracy that places the entire royal family in peril. And as she races to save England from a most disturbing fate, Maggie realizes that a quick wit is her best defense, and that the smallest clues can unravel the biggest secrets, even within her own family." Synopsis: "Detective Sergeant Apelu Soifua spent seven years in the San Francisco Police Department, where the job was just a job and solving crimes required cool detachment. But back home on American Samoa, life is personal—especially for a cop. Because on a small island where no one is a stranger and secrets are widely known but never discussed, solving crimes requires a certain…finesse. Here, Apelu must walk the line between two cultures: Samoan versus American, native versus new. And that gulf never yawns wider than when a white family’s home in Pago Pago is burglarized. And what appears to be a simple, open-and-shut case turns out to anything but. As the evidence piles up, Apelu follows a tangled trail between cultures, dead bodies, hidden codes, and a string of lies on his hunt for the ugly truth buried at the heart of paradise." Synopsis: "A particularly unpleasant murder, that of a very old woman in a housing project, rocks the town of Lafferton. The murderer has left a distinctive "sign" on the body and at the scene of crime. A couple of weeks later, a similar murder occurs, and a month or so later, so does another. Initial investigations discover that the mysterious "sign" left on the body was the calling card of a suspect who was charged with several murders in the northwest of the country, tried but acquitted on the grounds of insufficient evidence. All indications suggest that this person has simply vanished. Or is he right under their noses?" Synopsis: "The North Wales market town of Llanelen is abuzz when a Vietnamese family moves into Ty Brith Hall. 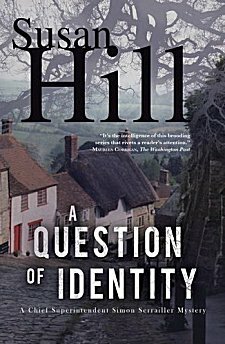 It isn’t long before the family’s business dealings have the townsfolk wondering what’s really going on up at the big house on the hill. Things take a sinister turn when Penny Brannigan, spending a midwinter afternoon sketching the magnificent views that surround the town, discovers the body of the new family’s teenage daughter. Many secrets lie buried in the shallow grave, along with the girl, who Penny identifies by the snakeskin manicure she received at Penny’s salon. 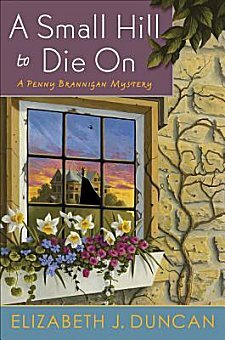 When an elderly woman returns to Llanelen to care for her ailing brother, Penny discovers the truth about another death at Ty Brith Hall, one that hits very close to home. Though Penny's romantic interest, Detective Chief Inspector Gareth Davies, warns her to stay away, Penny can't resist getting involved, and her urge to help will ultimately put her in danger." How's that for an excellent month of new mysteries? 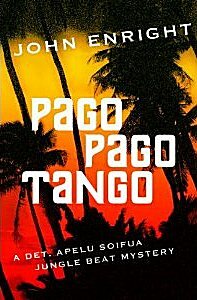 Of the new-to-me authors, I have to admit that I'm looking forward to traveling to American Samoa in John Enright's Pago Pago Tango. I wonder if my armchair can get frequent flier miles??? Did any of these titles find their way onto your own wish lists? Which ones? You know I just have to ask! I hope you find a few from the list to read, Elizabeth! Oh thank you for some good books to look forward to! 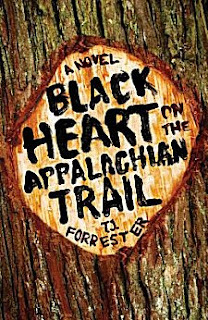 Vanishing Point was already on my wishlist but that book by Susan Hill looks good, and that book Black Heart on the Appalachian Trail looks great too! 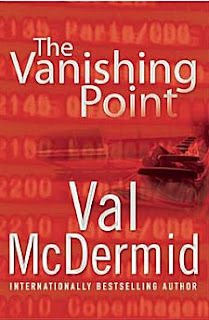 Val McDermid is always on my wish list, too, Dorothy! I always add books to my TBR wish list when you do this post each month. This time, I also added John Enright, and the Maggie Hope series. I'm so looking forward to reading both those books, Debbie! I dont read mysteries often but I like the idea of the Appalachian one; sounds intriguing. Check out my Oct. list at http://www.thecuecard.com/ cheers. I can't resist a book list. On my way!